What if every state in the union provided some seed money for local journalism -- as a way to rebuild some of what's been lost through years of budget cuts and layoffs? That's what New Jersey is on the verge of doing. Public media advocates are calling it a historic legislative victory. Last month, both houses of the New Jersey legislature passed the "Civic Info Bill." The bill sets up a nonprofit group that will be supported by five of the state's universities. A board of directors will approve grants to strengthen local news coverage. 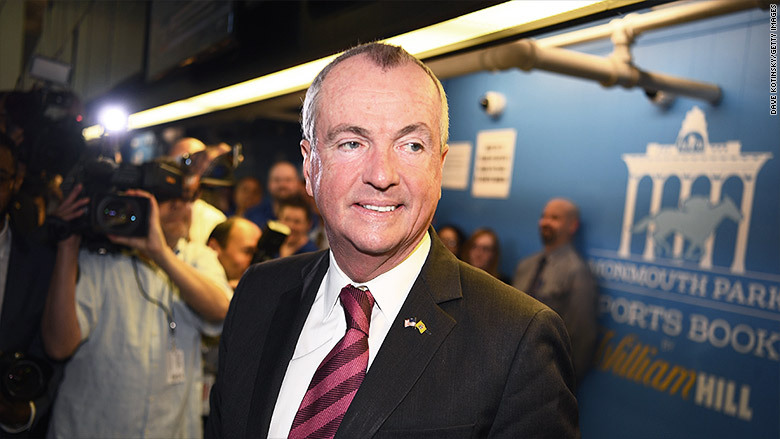 New Jersey governor Phil Murphy signed a state budget on Sunday night that allocates $5 million for the Civic Information Consortium. But Murphy hasn't signed the bill yet. His spokesman told CNN "we are reviewing all legislation sent to the governor's desk for signature." Because the $5 million was included in the budget, advocates for the bill are optimistic. "Never before has a state taken the lead to address the growing crisis in local news," Mike Rispoli, the state director for Free Press Action Fund, said in a statement. Rispoli said New Jersey is now "a model for the rest of the nation." Free Press is a liberal public interest group. It has been campaigning for a bill like this for more than two years. The campaign was predicated on the belief that many communities are being under-covered, partly because many local newsrooms are struggling to stay afloat. There is ample evidence to back this up. Staffing and resources at print newspapers have been shrinking for years and digital start-ups have only partially filled the void. In New Jersey, this is compounded by the fact that the state is located between two big cities, New York and Philadelphia, that are in other states. The practical effect: Less coverage of hyperlocal issues. So advocates and state lawmakers argued that public funds should support "civic information" -- news coverage, yes, but also things like databases and media literacy initiatives. At first there was talk about a much bigger pot of money -- $100 million or more. When the bill was reintroduced this year, the amount was $20 million. By the end of the legislative session, it was down to $5 million. For critics of public media -- those who say taxpayer dollars should not subsidize PBS, NPR, etcetera -- this is $5 million too much. But advocates are cheering the allocation as a first of its kind step. Rispoli told CNN that his group's campaign was "rooted in public engagement," meaning forums across the state, petition drives and other efforts. Rispoli told CNN that his group's campaign was "rooted in public engagement," meaning voters participated in forums across the state, petition drives and other efforts to help promote the bill. "We were told over and over that people wouldn't participate in a campaign about strengthening local news, or that it wasn't an issue that people would take action on. They did time and again," he said. "I really do hope that newsrooms, funders, and lawmakers look to this legislation and campaign as a way to spark conversation about the value of local news, and gives them a blueprint for addressing its disappearance in their community and state," he added.